"Only one of us is walking out of here alive." If you were to ask any serious poker player about hand histories they would tell you that they study their hand histories and the hand histories of their opponents regularly. Hand histories are fundamental as they contain a lot of information about how each player plays specific situations at the tables. In other words their style, tendencies and poker leaks are all in there. Hand histories can be used either by themselves if you use a replayer. Or they can be input into a poker tracking software like Holdem Manager, which then run detailed statistics and analysis of these hands and how they were played. Whether you are learning about something done correctly or incorrectly on the tables, all of the information about the hand is then available to you. You can see every action made from the beginning of the hand all the way to the last street. When you are studying hand histories of your own you can really help increase your win rate by a large amount. Taking the time and dedication to do this is a very important factor in developing your skill to the maximum potential. When you first import hand histories of your own you should separate them by the pots that you won the most money and the pots that you lost the most money. The pots that you won aren't as important as the pots that you lost, but they are significant as well. The pots you won the most you can evaluate how you played the hand to get all of the money in the pot and you can also see if there was any way you could have won more. You always want to push your opponent to the limit. For example you want to bluff bet as little as possible to make them fold and value bet as much as possible so that they will call. When you begin to evaluate the hands that you lost the most money in you need to look for patterns in your play. If it was a pot that you were sucked out on then there isn't much you can do. When you are clearly making a bad play regularly that is called a leak and you need to eliminate it from your game. If the leak is leading to most of the big pots that you are losing, then you are lucky that you spotted that leak as you will increase your win rate by a huge amount once you know to eliminate that leak. Now you might have also heard of players buying lists of player's hand histories and studying them along with studying their own. This is as important as studying your own play and it will help you a lot. If you are running any sort of software like Hold'em Manager then you will have extensive info about your opponent's statistics on the tables. If there is an opponent you have a hard time to play with, then you can buy extra hand histories so that you get a large enough set of hands to study his game, style and leaks in great depth. When you are trying to play in the higher limit games you will also have an advantage because you have already seen who the regulars are, how the regulars play and you will know exactly what to do to put them into the positions that they are the weakest at. This is a great way to combat heavy aggressive opponents like the new age grinders who think they are the best poker players to ever live. Or any opponent indeed. By using some sort of software to track your own hand histories along with the hand histories of your opponents, you gain an edge over your competition. So that when you sit and play them, you already know what to expect and how to handle these tough players. If you are not already winning as much as you would like at the limit you would like, it is recommended to buy hand histories. If you can afford it, then it is surely worth it. The more you study how your opponents play, the better prepared you will be on the tables. Even the top pros in the world buy and study hand histories. This is how Brian Hastings infamously won $4.2 million from Isildur1 at Full Tilt; by really spending the time to study Isildur1's game and tendencies, Brian was able to crush him for a humongous amount of money. For a large supply of cheap hand histories, check this website. 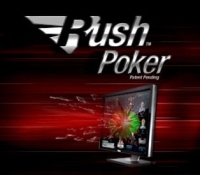 Have you tried Rush Poker, the new poker game brought to you by Full Tilt? The advantage of rush poker is that you cannot get bored waiting for good cards. Because if you do not like your hole cards, you can press the quick fold button and you will be instantly moved to another table with new cards. Your previous hand will be folded for you by the program when it is your turn to play at the table you left. You can play both ring games and tournaments at the rush poker tables at Full Tilt. Rush Poker is a different gambling song requiring a different playing approach if you want to win money at it, and you can as many players do not play this new game well.